It is with great honor and pride that Chikamasa Japan, in partnership with Dazey’s Supply welcomes the newest member of the highly coveted garden scissor line. Welcome the ergonomic comfort of the curved Chikamasa scissor, the NEW B500SRF! Made from the highest quality stainless steel, this scissor (like its counterpart the B500SR) offers a unique feature to the Chikamasa line… A true curved blade! To top that off, the B500SRF from Chikamasa features the innovative Fluorine Coating, a sap resistant layer, which prevents buildup on the scissors blades. What this means for you? 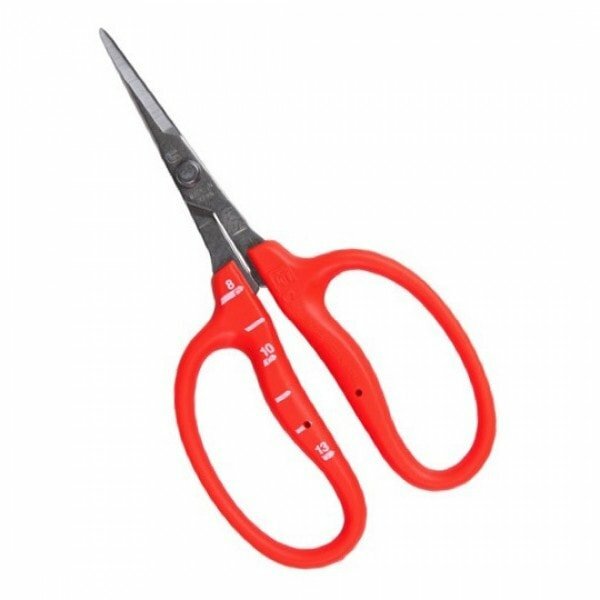 It means longer use of scissors between cleanings, to allow for more proficiency for even the most elite user. Developed in Southern Humboldt County California, handcrafted in Osaka Japan for the ultimate harvest perfection.